The new selections coming in August to a Free Library location near you are (mostly) about battling foes—whether they be villains and enemies, a brother, or maybe dots. They make for good summer plots, so get something cold to drink, kick up your feet, and enjoy! From the creator of Press Here comes another playful and interactive book. Using dots of color to represent different sounds, Tullet introduces the concepts of volume, pitch, and rhythm as the dots change size, number, and speed. And as each color/sound interacts with each other, so will the readers, resulting in a fun and lively read aloud for kids and their grown-ups. What is Harry Hammer up to now? And where is his worst enemy, Rick Reef? Dive in to Book 8 of the Shark School series to find out! Brooklyn Visions Academy student Miles Morales may not always want to be a superhero, but he must come to terms with his identity—and deal with a villainous teacher—as the new Spider-Man. Ricky "Ghost" Mendoza, Jr. is trying to be good. In recovery and working as a freelance safecracker for the DEA, the FBI, and any other government agency willing to pay him, Ghost is determined to live clean for the rest of his days. And maybe he could, if the most important person in his life hadn't gotten into serious financial trouble. To fix it, all Ghost has to do is crack a safe and steal drug money from under the noses of the gangs and the Feds without getting caught. Or killed. Ryan Gattis' gritty, fast-paced thriller hurtles readers toward a shocking conclusion that asks the toughest question of all: How far would you go to protect the ones you love? A dual biography of the highly successful Kellogg brothers: John Harvey Kellogg, founder of Michigan's Battle Creek Sanitarium (a medical center, spa, and grand hotel) and Will Keith Kellogg, a pioneer in the breakfast-cereal industry. Medical historian Markel (An Anatomy of Addiction) delves into the contentious relationship between two highly accomplished brothers, exploring their impact on American culture in the late 19th and early 20th centuries and how they changed America’s notion of health and wellness. The adventures of our favorite team of bickering intergalactic characters continues as the Guardians fight to keep their newfound family together and unravel the mystery of the true parentage of Peter Quill (aka Star-Lord). Old foes become new allies and fan-favorite characters from the classic comics come to our heroes' aid, all set to the tunes of Awesome Mixtape #2. Put your holds on and check out these great new additions to our catalog today! Hot New Books to Keep You Cool This Summer! 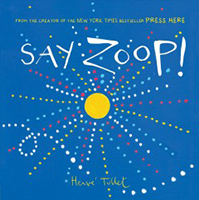 Hello Carroll - you can start by exploring our ebooks FAZ here: https://libwww.freelibrary.org/explore/topic/digital-media-guide. You'll find links and videos about how to use our collections there. Thanks! 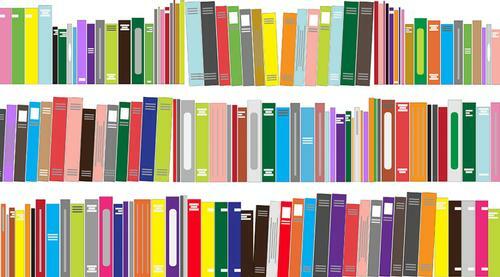 Add a Comment to New Titles Coming to the Free Library in August!